So, I have a confession to make. Well it’s not exactly an earth shattering secret as I have mentioned it here a couple times before. But MOST people are surprised to learn that I absolutely HATE baking. Yep, I am a food blogger that makes every meal that my family eats and LOVES doing that but I despise baking. In fact, on the rare occasion that we do eat dessert as a family, or when I send a little sweet treat in Uncle Bee’s packed lunch, it is almost always store bought. Hungry for more? These 5 ingredient Pumpkin Spice Cheesecake Bars are my favorite Fall cheater dessert! I am so happy to say that this week’s baking adventure was a COMPLETE success! 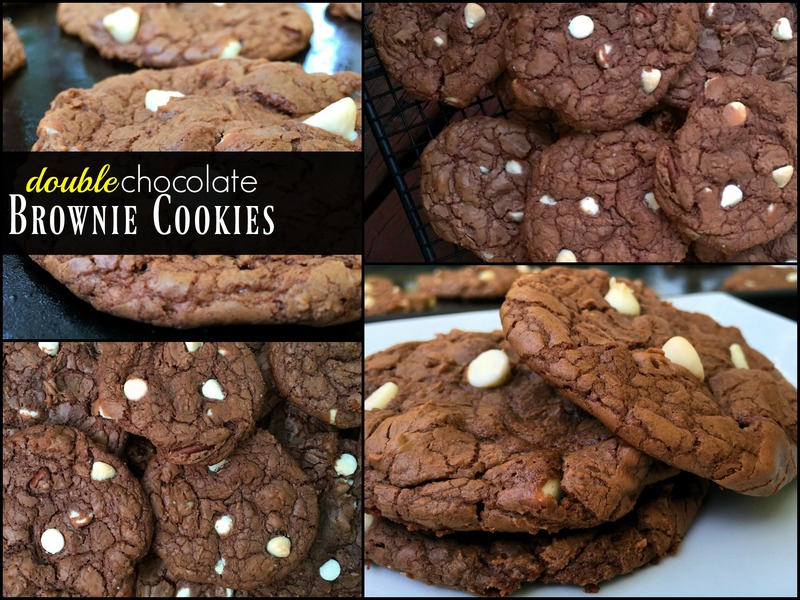 Uncle Bee LOVES brownies & cookies so I decided to try out these Double Chocolate Brownie Cookies and they were SO incredibly delicious! And I have to admit. As much as I’m not a fan of baking, it felt pretty darn good to surprise my family with these homemade cookies! They are super excited about my new venture 😉 If you love brownies and cookies, I think y’all will LOVE these! Preheat oven to 350 degrees. Melt semi-sweet chocolate chips in the microwave or a double boiler. Combine the melted chocolate and all the rest of the ingredients except while chocolate chips & nuts in a large bowl. Beat until smooth and then stir in the white chocolate chips and nuts. Drop by rounded teaspoonfuls onto a Pam sprayed baking sheet. 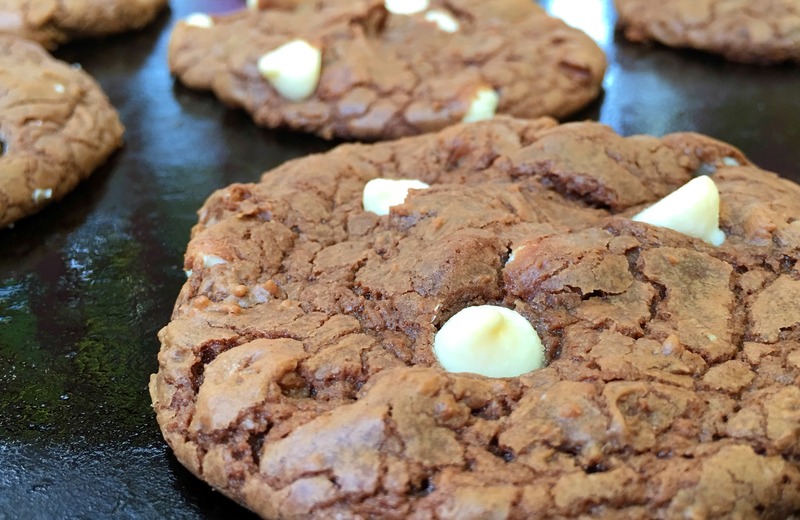 Add a couple extra white chocolate chips to the top of each cookie before baking if desired. Bake for 10 minutes or until done. (Do NOT overbake!) Cool and ENJOY! These Heath Bar Blondies are my ALL TIME favorite dessert! They are not safe in my house! 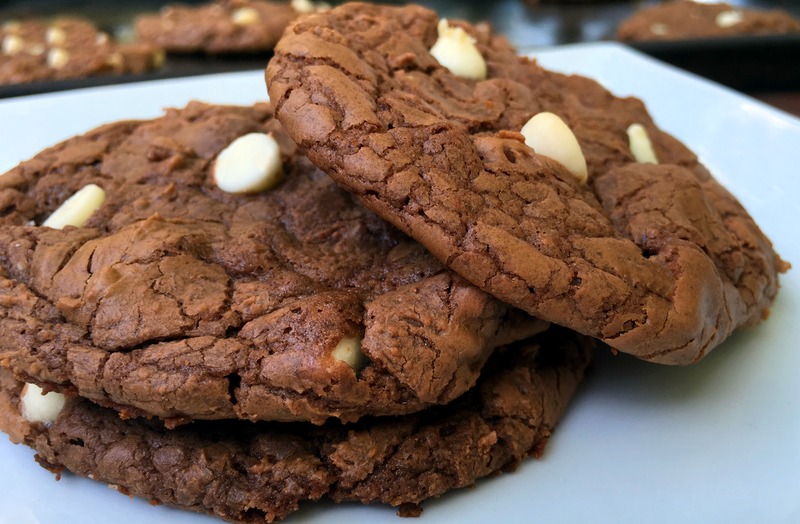 I love that you are breaking out of your comfort zone and baking every week! and I KNOW your family is! These look great!